I'll be taking a croissant making in September, and I hope to offer those very soon! 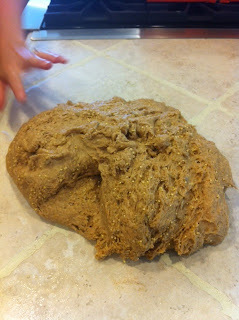 However, one prerequisite for that activity is some experience working with yeast. When some friends of mine heard that I was on the hunt to learn the art of bread making, they stepped up to the plate and offered to teach me! These girls are some amazing girls; they make fresh bread for their families EVERY week. Yes, you heard me correctly, they don't purchase their bread, they make it! Like I said, they are pretty awesome girls. This past week they held a small workshop teaching us the secrets of the beast I call yeast. 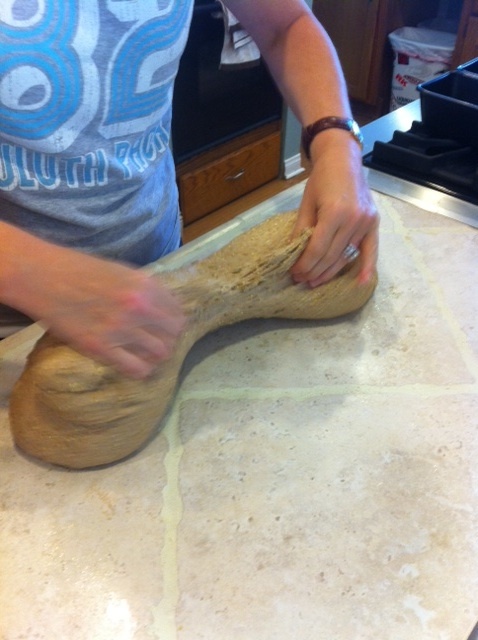 Putting out the dough. 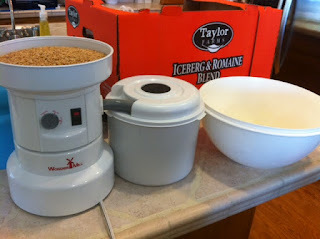 Here you can see all of the different grains. 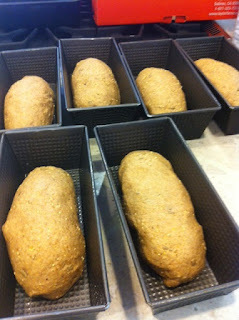 We made 24 loaves total. Here are six of them prepared to rise. 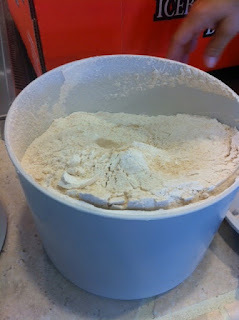 Unfortunately a few of them had a hard time rising, we narrowed the problem down to hot water. I learned so much about how to work with yeast! The final product! It was a lot of work to get these bad boys to rise up properly, but now I feel confident that I can tame the yeast beast properly. 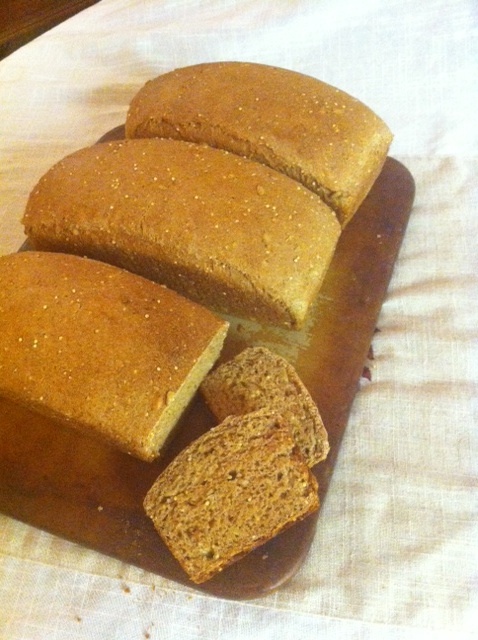 This whole wheat 12-grain bread turned out to be so delicious! My family gobbled up half a loaf straight from the oven. I can't wait to try it again and apply my new knowledge to other kids of bread! Thank you so much Kacie and Rachelle for all of your hard work and patience in teaching us your craft!